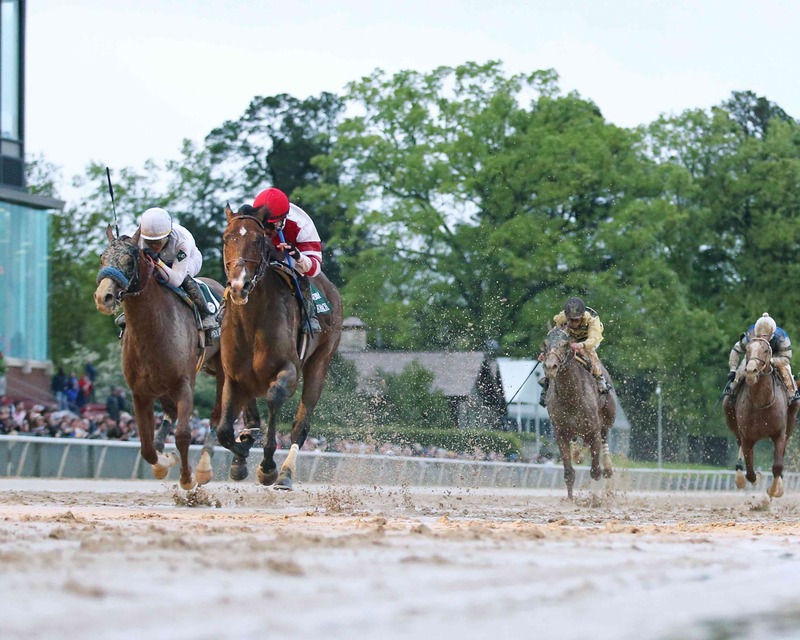 War Front’s Kentucky Derby-bound son Omaha Beach became his sire War Front’s 20th G1 winner when he captured the Arkansas Derby before a rain-drenched crowd of 45,000 at Oaklawn Park April 13. Winner of the G2 Rebel Stakes last time out, Omaha didn’t disappoint when he returned to the Arkansas track from his California base. He went off as the 8-5 favorite, assumed the lead at the half-mile marker, and never looked back, completing the 1 1/8-mile distance on a sloppy track in 1:49. Omaha Beach earned 100 points for his Arkansas Derby victory and is now second on the Kentucky Derby leaderboard with 137.5 points. Trained by Richard Mandella, he improved his record to 3-3-1 from seven starts and has earned $1,121,800. War Front is the #1 sire by percentage of lifetime graded stakes winners. Among his other top 2019 runners is War of Will, winner of the G2 Risen Star Stakes and G3 LeComte Stakes. War Front stands for $250,000 at Claiborne.